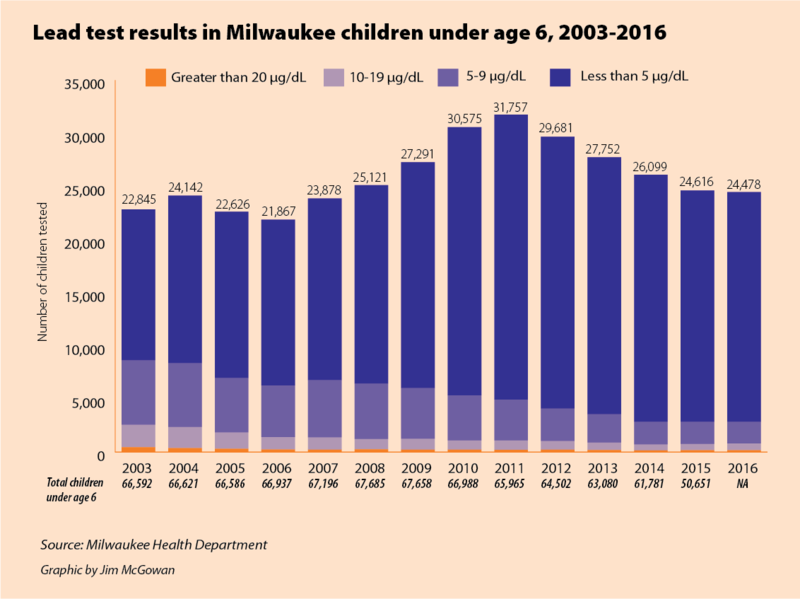 Editor’s note: This is one of an occasional series of stories highlighting the health risk — particularly to children — of lead service lines, which deliver water from city water mains to about 70,000 homes in Milwaukee. Amid revelations that deficiencies within the Milwaukee Health Department hindered the city’s response to the local lead poisoning crisis, community leaders, Health Department officials and aldermen are saying the city must be more aggressive and proactive to protect residents from lead poisoning. Community groups, including the Freshwater for Life Action Coalition (FLAC), have advocated for more aggressive actions to address lead poisoning — particularly exposure through hazardous lead piping — since late 2015. 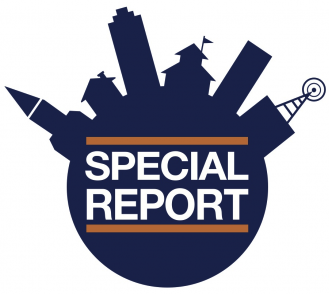 In interviews with the Milwaukee Neighborhood News Service, representatives of FLAC, Milwaukee Water Commons, the Black Health Coalition of Wisconsin, Hunger Task Force and Sixteenth Street Community Health Centers expressed the need to create a straightforward, comprehensive plan to prevent lead exposure. 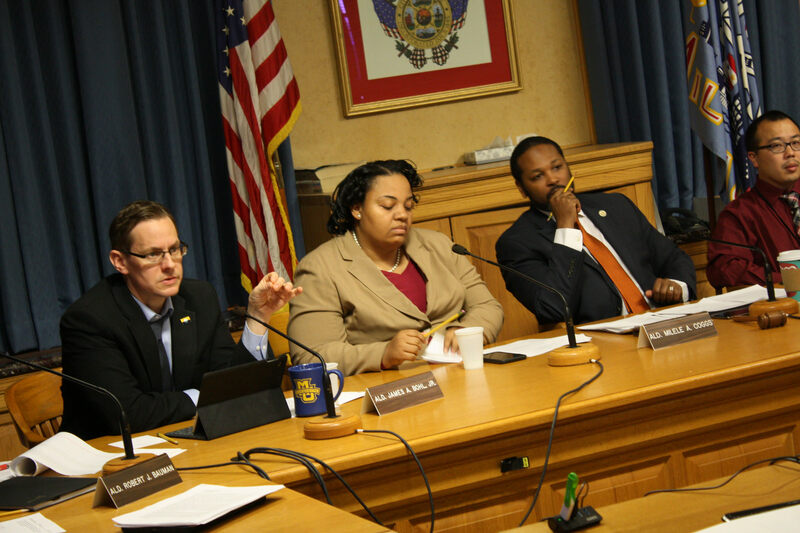 Black Health Coalition President Patricia McManus, who recently was appointed interim Health Commissioner in a 13-1 Common Council vote, said the process must be open and transparent, and that it should include a timeline and priorities for implementation. Milwaukee Health Department (MHD) Director of Disease Control and Environmental Health Angela Hagy wrote in an email that MHD supports a plan that focuses on educating people about the effects of lead exposure, abating sources of lead exposure and testing children for elevated levels. The Health Department has been aware of the risks of lead exposure from paint since the early 1980s. According to MHD, about 130,000 homes are at risk for lead paint hazards, less than 20,000 of which have been successfully remediated over the last 20 years. Since 2010, the Health Department’s Childhood Lead Poisoning Prevention Program (CLPPP), has used more than $17.6 million in federal and city funds to replace 33,737 windows in 4,173 units. The issue of lead in water was brought to the fore as a result of the 2014 crisis in Flint, Michigan, where residents were supplied toxic water for more than a year. The City of Milwaukee’s problems with lead in the water first surfaced in 1991, when the U.S. Environmental Protection Agency created the Lead and Copper Rule, intended to limit the concentration of lead and copper in drinking water. The city failed three of its first four tests and was non-compliant most recently in 1997. Instead of addressing the lead pipe issue then, the city added a phosphoric acid-based compound to the water that coats the pipes to prevent lead from leaching into the water. In every test since, the city has been in compliance. Though Milwaukee’s water is clean at the source, lead from service lines can dissolve or flake into the water, making it hazardous. More than 70,000 Milwaukee homes, primarily concentrated in the city’s central north and south side neighborhoods, receive their water through lead service lines. 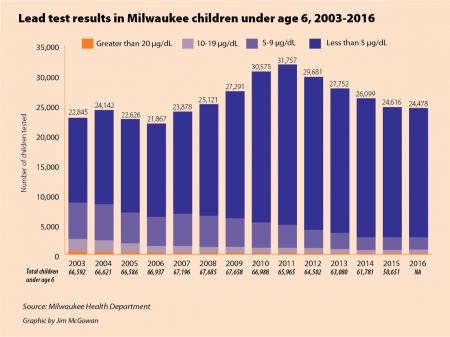 According to Health Department data, measured cases of dangerous lead levels in children’s blood have declined significantly since 2003. That year, of approximately 22,000 children under 6 tested, 8,663 — 37.9 percent — had blood lead levels above 5 micrograms per deciliter (µg/dL), the level at which the federal Centers for Disease Control and Prevention (CDC) recommend that public health action be taken. Of almost 24,500 children under 6 tested in 2016, 11.6 percent — or 2,851 — had levels above 5 µg/dL. Despite this progress, community advocates and city officials have said the city’s response has not been sufficient, especially as it relates to testing children and making sure families have accurate information about the effects of lead and how to protect themselves. According to Health Department data, in 2015, five ZIP codes (53205, 53206, 53208, 53210 and 53212) had more than 13 percent of children test above 5 µg/dL. All five ZIP codes have populations that are majority African-American and poverty rates higher than the citywide rate of 29 percent. Paint, water and soil can all be sources of lead, and lead ingested or inhaled from any source increases the total amount of lead in the body. Until recently, Health Department officials have said paint is the primary source of exposure, a claim disputed by peer-reviewed research and EPA estimates that 30 percent of people with high lead blood levels do not have an immediate lead paint source. According to a 2014 report by the Wisconsin Department of Health Services (DHS), exposure to lead can result in childhood brain damage, leading to aggressive behavior, stunted intellectual development, mental health problems and a higher likelihood of committing violent acts. Adults who were poisoned as children can have reproductive issues and exposure as an adult can increase the likelihood of kidney disease, high blood pressure, depression, stroke and memory loss, including Alzheimer’s disease. The Childhood Lead Poisoning Prevention Program, which has been the subject of recent scrutiny, employs a two-pronged strategy: replacing windows in homes with lead paint and following up with children who have high blood lead levels. 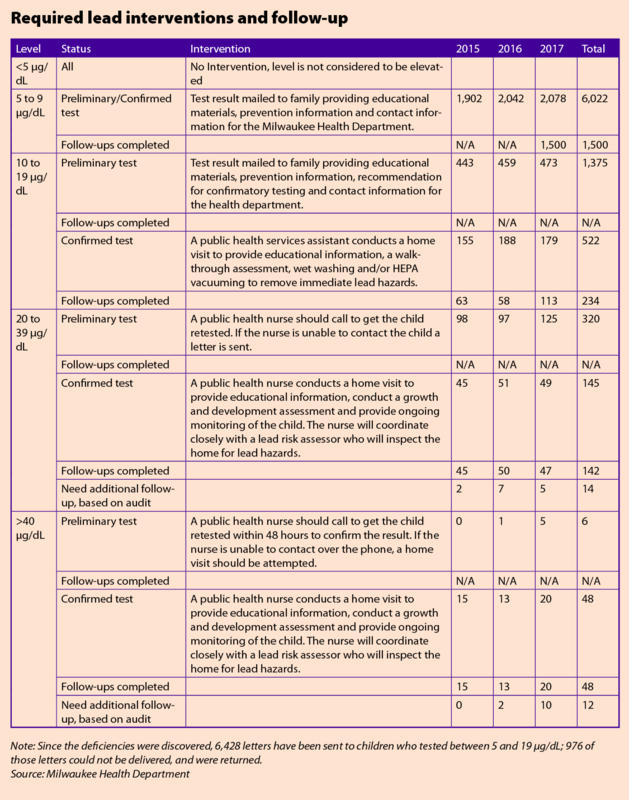 A recent report produced by MHD stated electronic records for 2015 and 2016 do not show any follow-ups sent for children who tested between 5 and 9 µg/dL. Since 2015, thousands of children did not receive the required follow-ups — either letters or in-home visits for those with higher levels of exposure. Health Commissioner Bevan Baker resigned after Mayor Tom Barrett discovered the issues; since then, other concerns have come to light. Health Department officials have testified that MHD was not testing water for lead in the homes of children who tested positive for lead poisoning, despite claiming last summer that they were. And MHD struggled, during the second half of 2017, to abate homes with lead paint because of insufficient staffing levels and the complexity of identifying qualified homes, according to testimony. Weeks after the revelations, MHD released an extensive report detailing the deficiencies. Since the mismanagement was brought to light, the federal Department of Housing and Urban Development (HUD) conducted a review of the CLPPP and issued a stop order for lead abatement activities, of which it funds a large portion, until corrective actions are taken. DHS will also conduct a review of the program. These reviews came in the wake of calls from activists and aldermen for an independent investigation of the department. The Health Department initially fought and later delayed a resolution passed in November that added women of childbearing age (15-45) to the high-risk pool for lead exposure. The measure also clarified that using a water filter is the most thorough means of ensuring lead-water safety, and expanded the age that children should receive regular testing to all those under 6. After the resolution passed, the Health Department claimed it had been doing what the measure directed all along, and consequently did not intend to change messaging or direction to care providers and filter distribution partners. 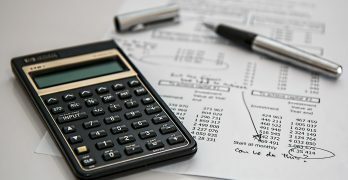 However, at a Steering and Rules Committee meeting on Jan. 31, MHD spokesperson Sarah DeRoo said the department is in the process of informing care providers of the updates and plans to advertise in community papers, a step suggested by residents in interviews with the Milwaukee Neighborhood Service early last year. DeRoo also said that Baker discussed the changes on a radio show late last year. Advocates have criticized MHD and city officials for “reactionary” communication that they say has failed to convey the urgency of the situation. This, they say, has hindered the ability of people to adequately protect themselves and their families. “I think what we’ve mostly been getting from the city is just enough of a message to get by,” said Kirsten Shead, co-chair of Milwaukee Water Commons’ drinking water initiative, adding that there has been “a general hesitancy” to admit that lead in the water is a big problem. After Barrett sat on a panel with Virginia Tech Professor Marc Edwards, one of the leading national voices on lead in water, in late 2016 Barrett urged everyone who lives in a home built before 1951 to get a water filter. However, until late last year the Health Department’s Lead Safe MKE website promoted “flushing” more prominently than using water filters. Flushing — which requires residents to run water for at least three minutes after water has sat in pipes for prolonged periods — has been found to be an inconsistent method of protection. According to MHD, 1,611 filters were distributed by the Social Development Commission (SDC) and Sixteenth Street Community Health Centers (SSCHC) over two months at the end of 2016, as part of a pilot program. From the beginning of 2017 through the end of January, 1,769 filters have been distributed by SDC, SSCHC, Health Department programs, WIC Clinics and the Department of City Development. Shead pointed out that the number is relatively small, compared to the 70,000 homes with a lead line. She noted that the real question is whether those filters have been installed on people’s faucets and are being used. “I think we need a much more robust message and campaign around getting filters out into the community,” Shead added. “This very much echoes the zeitgeist of every other health department I know,” said Yanna Lambrinidou, a national expert and activist who sat on the EPA’s National Drinking Water Advisory Council Lead and Copper Rule work group. Lambrinidou said public health officials in municipalities around the country, including Milwaukee, have created an environment of “manufactured ignorance” around the issue of lead in drinking water. She said many officials “just repeat and parrot and replicate and sell the dogma that is being passed on to them” by the CDC and other public health institutions. Despite those efforts, few people appear to have adequate information. An informal survey by Milwaukee Neighborhood News Service of residents of homes that the city lists as having a lead service line found that only two of 19 people were aware of that fact. Seven of the 19 were generally aware of the detrimental nature of lead exposure, three of whom had a child or grandchild who has been lead poisoned. Many of those who did not know they had a lead lateral were not surprised. Some said that they have known for some time that many of the homes in the city have lead pipes, just not theirs specifically. “It’s the government — you can’t trust the government,” said Gavin Weitzer, 33, who did not know his home was serviced by a lead pipe. He said he drinks bottled water, but boils water for cooking, which can actually increase the concentration of lead. Lead poisoning cases are most highly concentrated on the near north and south sides, in low- and middle-income communities of color. Ald. Milele Coggs said the city needs to use non-traditional communication methods because the populations that need to be reached don’t use traditional methods. 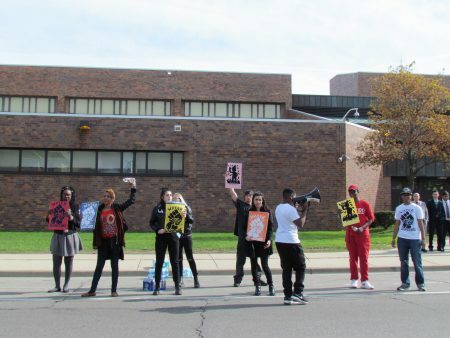 “We can say that we sent out some piece of paper to people’s homes, and we’ve got it on our websites … it’s still not enough, and we all know that,” said Ald. Jim Bohl. “Something more has got to be done.” On Monday, Bohl proposed “an intensive, citywide effort” to deliver 50,000 filtration devices to homes at no cost, along with an education campaign. Residents have also suggested the Health Department provide educational materials at libraries and advertise on Facebook. Some said receiving a phone call or seeing signs posted where lead lines exist would get their attention. “These are not comprehensive, strategically planned, well-organized campaigns to remove this very toxic, very dangerous situation from our water supply,” Miranda said. Edwards, the Virginia Tech professor, and Michael Carvan, a professor at UW-Milwaukee’s School of Freshwater Sciences, have said water that travels through lead pipes should not be considered safe and that the only long-term solution is to remove the pipes. Since partial replacements were suspended in late 2016, the city’s policy has been to fully replace lead service lines. Through November, Milwaukee Water Works (MWW) fully replaced 500 lead laterals in 2017. In 2018, $8.8 million will go toward replacing 800 service lines, including lines attached to water main projects, licensed child care facilities and where leaks occur, as well as the remaining portion of partially replaced lines. MWW plans to fully replace 1,000 lead lines in 2019. In projects that affect private residences, the homeowner must pay for the portion of the line that extends from the sidewalk to the home. Homeowners will pay no more than $1,600, which can be spread over 10 years. Only those affected by a city project or leak are eligible for the cost-sharing program. City officials have dismissed the possibility of further accelerating the process of replacing lead laterals, or paying for the part of the line they consider property of the homeowner. In December 2016, FLAC sent a letter to all city officials that estimated the total cost of replacing lead laterals citywide at $511 million. 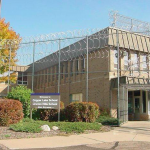 The letter suggested using General Obligation Bonds, Community Development Block Grant (CDBG) funds and funds from Milwaukee Water Works to replace all lead lines over 20 years at no cost to homeowners. It also suggested creating an Environmental Remediation Tax Incremental District. The city has not responded to these proposals. 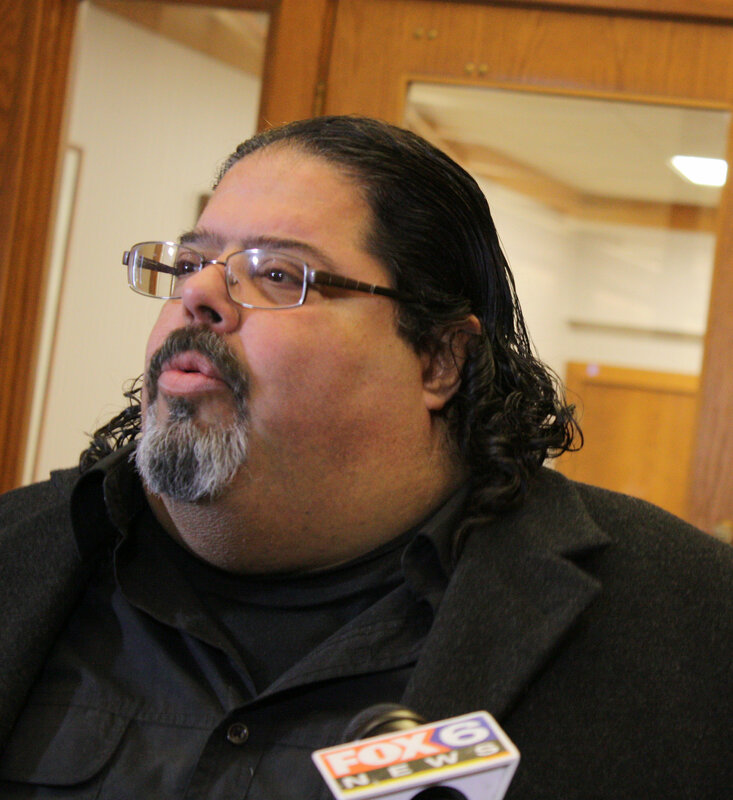 Kovac said a local sales tax, much like one suggested by Ald. Robert Bauman in 2015 to fund the Bucks arena, parks and cultural institutions, might provide additional funding for lead line replacement. However, the Republican-controlled state legislature, which must approve any local taxes, has not been friendly to the idea. The legislature ignored Bauman’s proposal, along with other proposals to help fund city and county services. Wisconsin Sen. Tammy Baldwin introduced an amendment to the Water Resources Development Act that would invest federal funds to replace lead lateral service pipes. Shead, Hunger Task Force Executive Director Sherrie Tussler and others say the city’s focus should be on better lead education and more communication about the advantages of filtering. Shead said information about where people can get filters would be helpful. MHD has provided some examples of filters that sufficiently protect from lead. Kevin Engstrom, director of environmental health at SSCHC, said parents and care providers need to be more aggressive about testing children. However, he also emphasized the importance of going to people, instead of waiting for them to come. Thank you for pointing this out, Sharon — we just fixed the link.